We have carved a niche amongst the most dominant names in this business, engaged in providing standard quality range of Wiring Harness. This Wiring Harness is highly appreciated amongst customers for its optimum finish and high tensile strength. Our product range is extensively used in different industries. 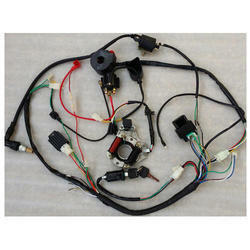 We are one of the most reliable companies in this domain and are into offering Wiring Harness. See Electrical Harness provides all necessary tools to manage schematic diagrams and wiring diagrams. Wide Range of wire processing capabilities using automated equipment. Expertise in High-End interconnecting cables. Follow IPC/WHMA –A -620 Rev A standards. 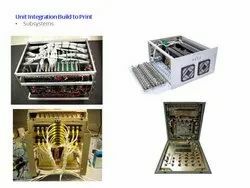 In-house Test capabilities using Futura testing equipment. Equipped to process wires from 30 AWG, Flat cables, Multi conductor cables. Avail from us reliable and cost effective Wire Harnessing Services for various applications. We can provide this service as per the specific design and other requirements of clients. With vast experience of 5 years in the domain, we have been able to serve many clients based across Bangalore.